Programs | Peak Gymnastics | No Gimmicks. Just Knowledge. Drop in for a class to see what we’re all about! Our Adult Gymnastics Sessions are 2hrs in duration and held at Victoria’s premier gymnastics facility, the High Performance Centre based in Green St, Windsor. Across our 7 weekly sessions we cover mobility/flexibility, core stability, handstand development, trampoline skills, tumbling, high bar, beam, ring work and much more! Every session is designed to progressively and safely improve every attendee’s gymnastics ability. Whether a complete beginner or a current gymnast, our coaches have the knowledge and expertise to cater for all skill levels. All our coaches have extensive knowledge, with many having competed and/or coached at the highest level in the sport making our coaching team the most knowledgeable adult gymnastics team in the country! Currently our sessions run 7pm – 9pm Monday, Tuesday, Wednesday, and Thursday nights, 10am – 12pm Fridays and Sundays and 12pm-2pm Wednesdays. We aim to provide as close to a personalised service as possible within a group environment by capping our class numbers so please pre-book your session prior to attendance. These sessions are designed to improve our athletes from week to week, month to month and year to year by maintaining high coach to athlete ratios. Gymnastics can now be your complete Strength and Conditioning training modality! With the introduction of GymNasty, our 1hr High Intensity Strength and Conditioning Sessions on Monday and Wednesday nights you can now cover off on all fitness aspects training with Peak! HIIT with a Twist! Know what you want to work on and would prefer an unstructured session to do so? Feel free to attend Open Gym during any of our opening hours for $15! If you want advice on the key skill you wish to work on come into our Monday and Wednesday sessions to be coached through the development of your desired skill for only $20! Cash payment on arrival for Uncoached or book a Drop-In for a Coached session below! Hosted out of Victoria’s Premier Gymnastics Facility, the Victorian High Performance Centre, One on One Sessions with any of our elite coaches can be made by appointment. These sessions are tailored 100% to your needs and goals whether a beginner or current competitive MAG/WAG/TRP gymnast. Receive One on One coaching from some of the best gymnastics coaches in the country! Hosted out of Australia’s Premier CrossFit Facility, Schwartz’s CrossFit Melbourne (Winners of the 2012, 2013, 2015 Pacific Regional Games and 2nd Place Finishers in 2016 and 2018) One on One Sessions with Martin can be made by appointment Monday to Friday. 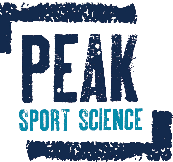 Please go to www.peaksportscience.com.au to book in with Marty! 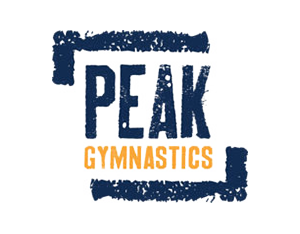 Peak Gymnastics offers a fun fitness environment catering to all ages and abilities. Group sessions are tailored to the desired format of the group whether 100% for fitness, strength and skill, 100% for fun, or a combination of both! Once off sessions and regular sessions available by appointment only. Simply fill out the Contact Us form with your enquiry, contact number and available times to tee up sessions! Our highly practical CrossFit based Gymnastics workshops have been heralded as the best of their kind. Conducted at your box to improve CrossFit performance whether for the beginner, intermediate or advanced athlete, these 4hr workshops can be custom tailored to what your athletes require and desire to learn. These workshops aim to give athletes and coaches alike the tools and knowledge to safely and progressively improve their or their athletes gymnastics based CrossFit performance and efficiency. Headed up by Martin Kurz (Ex-Senior International Gymnast, Guest Presenter for CrossFit Gymnastics Certification, Senior Coach at Schwartz’s CrossFit Melbourne, Registered L1 CrossFit Trainer, Gymnastics Australia Accredited Coach, ESSA Accredited Sport Scientist and Accredited Exercise Physiologist) and assisted by current and ex-Senior International level athletes and coaches ensures the level of coaching in these workshops are second to none. Beginner, Advanced and Custom tailored workshops available! Fill out the Contact Us form and we will get in touch to arrange a date!